I went upstate recently to spend the weekend with my niece and nephew. 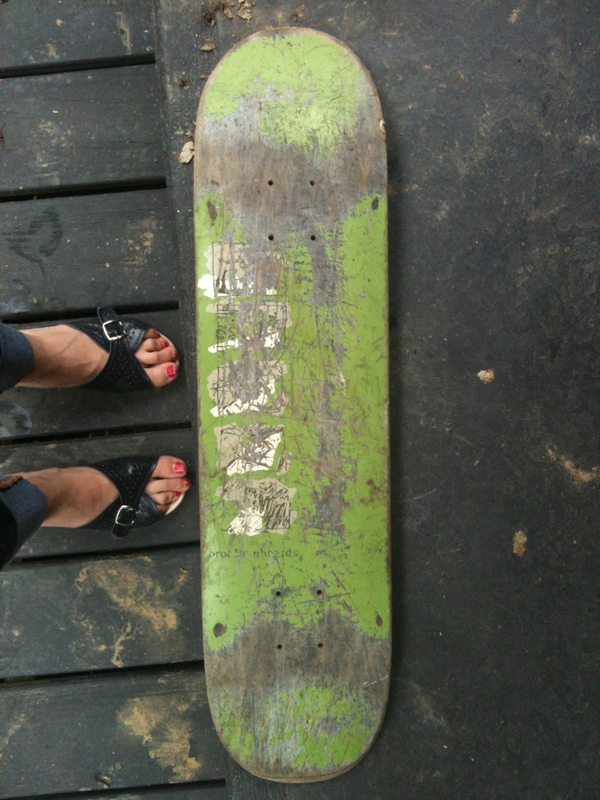 While sitting around with my brother, I remembered that somewhere in the house lived my old skateboard… so he went digging in the garage and produced it – sans wheels and trucks, but the last remnant of my skateboarding past. Most people don’t believe me when i tell them I used to skate… well, here is the proof. About a month ago Apple killed mobile me, which meant my website built with iweb was dead and gone. so i’m finally, slowly rebuilding my website…in wordpress. I know, I know. it’s lazy. I know how to write code, and I have dreamweaver on my dock. but I use wordpress all day at work, so it seemed like an easy transition. To start, I have 6 small galleries up. Don’t read the captions too closely, I haven’t filled those in yet. Just wanted to get some pictures up. I’ll continue to add back in the old portfolios, re-edit what I have up (it clearly needs it).. and just might surprise you with some new work… because I have some projects in mind.